The summer staple features dozens of experimental musicians performing simultaneously in a unique setting on the longest day of the year. Maggi Payne is a regular Garden of Memory participant. A summer staple since 1996, Garden of Memory features dozens of experimental musicians performing simultaneously throughout Oakland's stately, landmark columbarium Chapel of the Chimes, inviting attendees to wander until sunset on the longest day of the year. Cofounded by celebrated Berkeley pianist and curator Sarah Cahill, Garden of Memory corrals many of the leading figures in improvisation and electronic music, many with close ties to the storied music department at Mills College. (Cahill first got the idea while researching a piece on local public bathrooms for the Express.) Tasked with performing for long durations, participants often engineer veritable sound installations in various nooks within the labyrinthine, naturally lit structure, which features floor-to-ceiling cinerary urns styled like bookshelves. The event begins at 5 p.m. and ends at sunset with a bell-ringing ceremony led by sound artist Benda Hutchinson. Below we highlight five acts participating in this year's event. 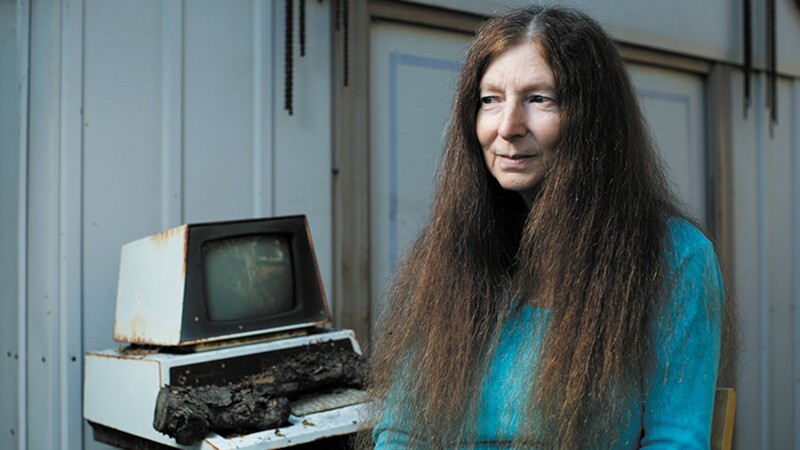 Known for her immersive, abstract compositions on synthesizers, Maggi Payne is a decades-long campus fixture at Mills College, a walking repository of lore from the school's groundbreaking music department with a shock of frizzy long hair. Her 1986 full-length for collaborator and friend Robert Ashley's label Lovely Music, Crystal, was reissued last year to overdue applause for its meditative, elemental presence, while more recent compositions, such as 2016's Moog-based Black Ice, reflect her lifelong exploration of analog synthesizers' expressive potential. At Garden of Memory, where she's a regular participant, Payne generally manipulates a theremin — arguably the first-ever electronic musical instrument. She also invites attendees to try it themselves. A member of metal-adjacent outfits Black Dog and A Minor Forest, John Benson is also known for starting a North Oakland punk co-op, for converting decommissioned AC Transit buses into mobile all-ages venues, and for his wheelchair repair business — he's something of an underground legend in the East Bay. In recent years, he's also performed my favorite piece at Garden of Memory. It involves a shallow pool of milk on the membrane of an upturned bass drum. Below are a light and a speaker emitting feedback, which excites the liquid into concentric circles with tiny geysers at the center. It is a curiously transfixing sight, vaguely lurid; he generally uses whole milk. Robert Rauschenberg did something similar with mud, but Benson once said his piece is inspired by Mötley Crüe. In 2014, the same year avant-garde percussionist and composer William Winant won a Grammy for his recording of a piece by John Cage, I chanced upon him leading a rendition of a piece by Steve Reich for about a dozen onlookers in an underground venue in West Oakland. He is the experimental set's go-to percussionist, having performed with Iannis Xenakis and Oingo Boingo, Cecil Taylor and Sonic Youth. But Winant's pedigree doesn't preclude him collaborating incessantly with upstart artists and storied figures alike in the Bay Area, and he's a repeat performer at Garden of Memory. In 2016, he worked with Cahill and violinist Kate Stenberg to realize a piece by maverick composer Lou Harrison. This year, he'll lead his eponymous percussion group.